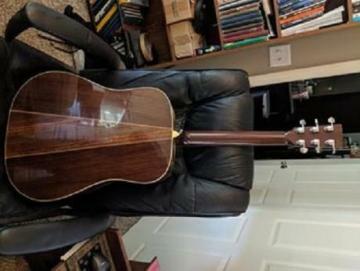 The listing says that i am asking $1,000, even though Martin D-35s are commonly around at least $1,500 on various online marketplaces. However, make me Your best offer...You might be surprised! i take ORU Quantum, by the Way (would actually prefer it). If You pay me with ORU Quantum, i will give You another 5% of whatever price we agree to off of the price for You! No case with it, so You'd have to get Your own case. 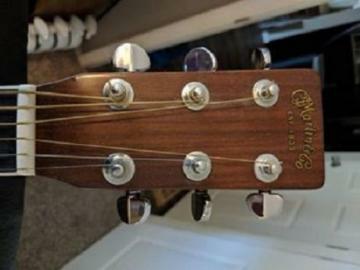 If You have ever wanted to own a Martin guitar, then please message me either here via Oru's chat or text me @ 806.283.7454 for more details or information. 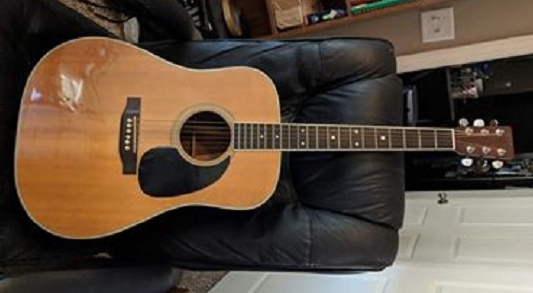 The Martin D35 was first introduced in the mid-1960s. Very similar in design to the legendary D-28 dreadnought, the Martin D-35 is considered a classic. These blues machines sing deep with a larger-than-life bass response and are a favorite instrument for the likes of Johnny Cash, Judy Collins, and Ernest Tubb among countless others. As Brazilian rosewood hit the endangered species list, Martin had pieces in the factory that were too small to construct the traditional two piece back. So, they decided to attempt a three-piece-back dreadnought. The instrument became known for its strong bass response. By the time the 60s were coming to an end, so was Martin's left-over Brazilian rosewood supply. In 1969, they continued the model, but began using East Indian rosewood in place of the Brazilian due to the scarcity of the wood. The D35 features a three piece East Indian rosewood back and sides, mahogany neck, a "bound" fingerboard and bridge made of ebony, standard X bracing, nitrocellulose finish, and other nice cosmetic details.